When Americans were flocking to cinemas to see Dustin Hoffman star as Raymond Babbitt, a middle-aged man whose anxious, repetitive soliloquies confined him to the fictional Walbrook Institute, Betsy was a senior at Rochester dating junior Marc Brugg ’90, ’95S (MBA). “I was a year ahead of him. And I’m still a year ahead of him,” she quips, looking over at Marc, who’s seated beside her, smiling. After their graduations, Betsy and Marc parted ways for law school—she to Georgetown and he to Temple. In 1993 they married and returned to Rochester to be close to Betsy’s family. In 1998, Betsy gave birth to Gabby, their first child. All babies, of course, are to some extent hard. Like many babies, for example, Gabby didn’t sleep well. But over time, she displayed more telling signs of a problem. At the age when most babies begin to show interest in faces, Gabby didn’t make a lot of eye contact. Around the time when most babies begin to babble, Gabby uttered at most a word or two. “People would say, ‘Oh, she’ll grow out of it,’” says Marc. “But we were concerned.” The Bruggs took Gabby to the Andrew J. Kirch Developmental Services Center at the University’s Golisano Children’s Hospital, where she was diagnosed with autism at age 17 months. Peyton, too, would be diagnosed with autism at the Kirch Center, though his route to that diagnosis would prove more complicated than Gabby’s. 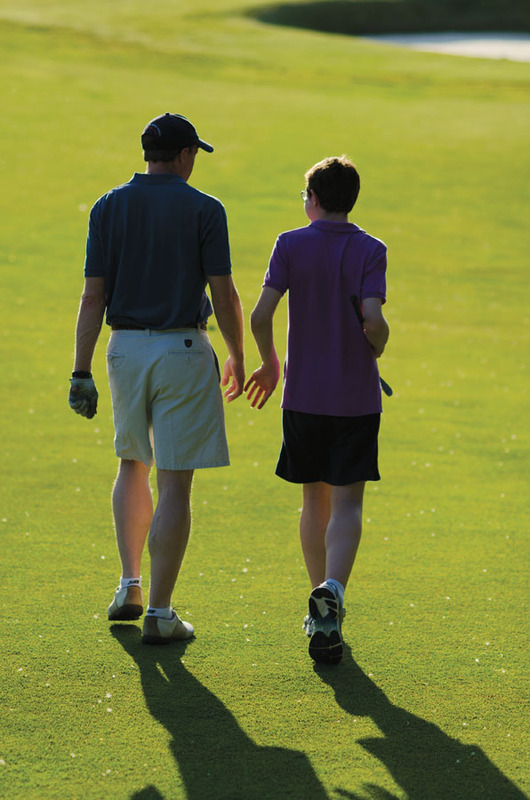 Now 14, Peyton was diagnosed first with epilepsy—as up to a quarter of children with autism are. At 19 months, he underwent a partial hemispherectomy at the University’s Strong Memorial Hospital. “The operation stopped his seizures, but we knew he was going to have developmental issues,” Chris says. At their pediatrician’s recommendation, the Hiltons took Peyton to the Kirch Center, where he was diagnosed with autism at age 2. Autism is a complex disorder, but symptoms are clustered in three areas in the most recent edition of the Diagnostic and Statistical Manual of Mental Disorders: impaired social interaction, as displayed through eye contact, facial expressions, or appropriate body language; impaired oral communication, which can mean either the failure to speak or the ability to speak, but not to hold a conversation; and an insistence on repetitive behaviors and restricted routines. These symptoms can range in severity, and the intellectual abilities of some people with autism may be average or higher, while others may have significant disabilities. For those reasons, in clinical settings at least, autism is often referred to as Autism Spectrum Disorder, or ASD. One misconception about people with autism that remains frustratingly pervasive, say the Bruggs, is the idea that people with autism are not interested in making connections with others. That doesn’t describe Gabby, who at 13 is a teenager deeply attached to her parents and to her younger sister, Samantha. She likes to snuggle. And she’s kind—someone who will approach a child who is crying to ask if he’s OK.
What’s missing is not the desire for connection, says Betsy, but the understanding of reciprocity. To describe Gabby’s struggle, Betsy uses the analogy of “the spaces between.” The spaces between, say, marbles in a cup. The percentage of children who are diagnosed with autism has been increasing at a steady rate for at least the past two decades. The Centers for Disease Control and Prevention, or CDC, has been keeping statistics on the rate of diagnosis among eight-year-olds since 2000. In that year, 1 in 150 children had received an autism diagnosis by age eight. In 2006, it was 1 in 110. And this past March, the center released a report, using data from 2008, showing the prevalence had risen to 1 in 88. For boys, who are nearly five times as likely to be diagnosed with autism as girls are, the figure was 1 in 54. On the evening of the day of the study’s release, CDC director Thomas Frieden was joined by Susan Hyman, chief of the division of neurodevelopmental and behavioral pediatrics at the Medical Center, on the PBS NewsHour to shed light on the findings. A nationally recognized clinician in the field of developmental disabilities, Hyman chairs the autism subcommittee of the American Academy of Pediatrics. Although many researchers and clinicians, including Hyman, don’t rule out the possibility that autism is becoming more common, she believes the increasing rates of autism are mostly due to better recognition of the condition. “We’re better because we’re looking. We’re better because we have more tools, and we’re better because parents and teachers are more informed about identifying concerning symptoms earlier,” she said on the program. In the Golisano Children’s Hospital’s neurodevelopmental and behavioral pediatrics division, where she’s been since 1995, Hyman oversees a staff of more than 80 health care providers, researchers, and trainers. In the division’s Kirch Center, clinicians diagnose and treat children with many developmental disabilities in addition to autism. But of the approximately 3,000 patients seen in the Kirch Center per year, the largest single group—about 1,200—is children with autism, making the center the state’s largest provider of autism diagnoses and treatment outside of New York City. Gradually, researchers and clinicians are coalescing around an evidence-based standard of care for the condition. 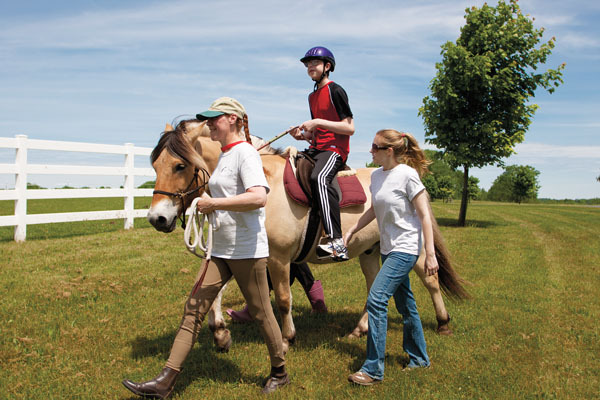 In 2008, Rochester received funding from the nonprofit Autism Speaks and the Department of Health and Human Services to become part of the Autism Treatment Network, a group of 17 medical centers in the United States and Canada working together to develop that standard of care. From there, the therapist will move into teaching new skills. “A key area at that point is imitation,” Smith says, which lays the foundation for learning a whole range of new skills. Once the child learns to imitate, she moves onto various levels of communication, with the ultimate goal of teaching the child to interact with another child. The University has extended its work with schools to include children of all ages. The division of neurodevelopmental and behavioral pediatrics has fostered close ties with local school districts, including the Rochester City School District, through a community consultation program. The relationship is reciprocal. Program staff train educators who teach children with autism in public schools, and they receive feedback from the districts about district priorities, in light of resources that are often limited. The consultation program has also played a key role in placing the University on the forefront of autism research. Through the relationships the program’s directors have established with schools, Smith and Hyman have been able to recruit many local children with autism to participate in clinical studies. That participation is critical because, as Smith points out, in the nation as a whole, “nearly 90 percent of children with cancer are enrolled in clinical trials, contrasted with only 5 percent of children with autism.” That disparity is a major reason, says Smith, why researchers still know far less about autism than many other chronic conditions. Smith came to Rochester from Washington State University in 2000. 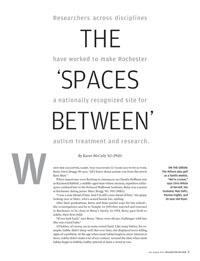 By that time, Rochester was already among a small number of sites the National Institutes of Health (NIH) had designated as a center for autism research. 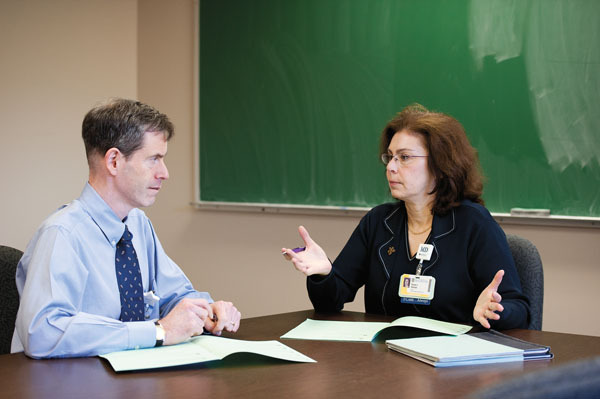 In 1997, the University had become one of 10 sites for the NIH’s Collaborative Programs of Excellence in Autism initiative to support research into the causes of autism. 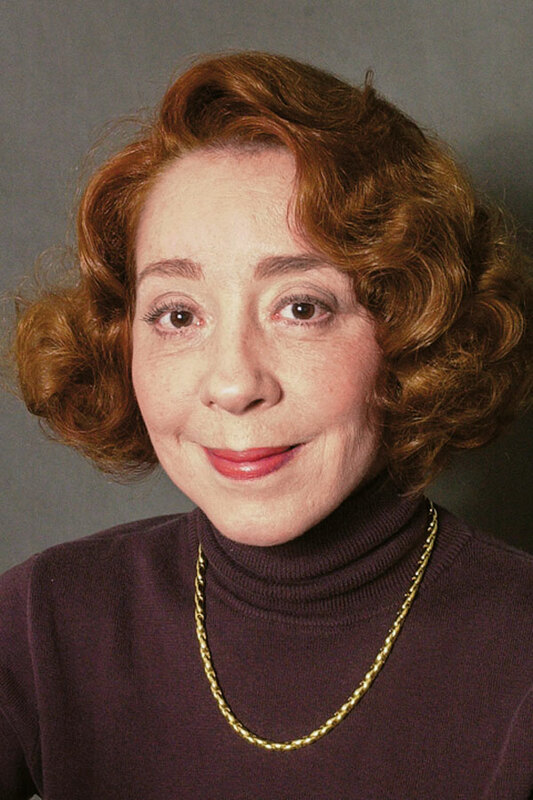 The person most responsible for that designation was the late Patricia Rodier, an embryologist in the Department of Obstetrics and Gynecology whose research proved pathbreaking, and who died this past spring at the age of 68. A lasting impact of her work has been the collaboration it encouraged. 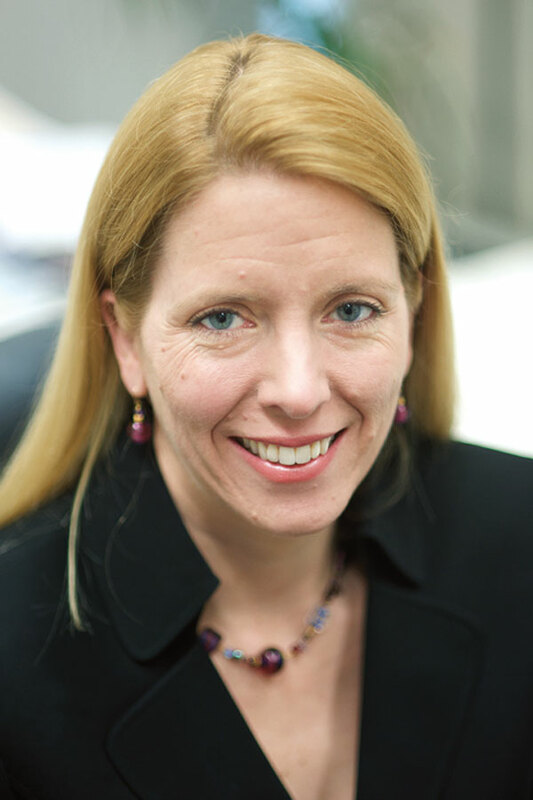 Her research into the causes of autism, itself a multidisciplinary enterprise, led directly to the work on autism treatment that has brought together Hyman, Smith, other colleagues at the Medical Center, and faculty from the Department of Clinical and Social Sciences in Psychology in the School of Arts and Sciences. Because autism affects higher functions such as social and communication skills, it was long assumed that it must originate in late gestation or early infancy and childhood, when significant brain development is taking place. Rodier demonstrated that autism’s roots appears to be much earlier—in fact, in the earliest period of gestation, when the central nervous system is just beginning to take shape. But two insights that Rodier had gleaned from other studies directed her attention to early embryonic development. One study, conducted in Sweden, found a far higher than normal rate of autism among a group exposed to thalidomide—the popular morning-sickness remedy in the 1960s that had been linked directly to multiple physical birth defects—very early in gestation, as the brain stem was forming. Later, Rodier examined a preserved brain stem of a woman who’d had autism. She discovered the brain stem lacked two components, both arising from the same part of the neural tube, which gives rise to the central nervous system. Rodier had seen brain stems like this one before—in mice, in which researchers had deliberately blocked the expression of a gene called HOXA1 to study its role in brain development. Rodier had decided to test the hypothesis that toxins, in combination with genes, caused autism. She devised a study using rats. She exposed an experimental group of pregnant rats to valproic acid—an anticonvulsant used in treating epilepsy and long known to lead to birth defects in both humans and rodents and suspected of a role in autism—during precisely the time HOXA1 would have been forming the brain stem. It was that study that attracted Stodgell, then just out of graduate school in pharmacology at the University of Kansas, to come to Rochester. To pursue this research through the NIH’s Collaborative Programs for Excellence in Autism, Rodier brought together experts at Rochester, Cornell, Delaware, and elsewhere. The rat study proved groundbreaking. And in the February 2000 issue of Scientific American magazine, Rodier wrote a feature article explaining the findings. HOXA1 was a developmental gene; that is, it controlled the development of the brain by guiding the activity of other genes. A search for gene variants of HOXA1 using DNA samples from people with autism and a control group yielded two variant genes, she explained. But from there, the mystery grew more complicated, as it invariably does in the search for the origins of autism. Presence of the gene variant increased the likelihood of autism, but didn’t guarantee it. And many people with autism did not have the gene variant. More than one factor, and more than one gene, were clearly involved. Stodgell followed up with a study on the interaction of valproic acid and HOXA1 gene expression, in which he found that not only did exposure to valproic acid have a significant effect on HOXA1 gene expression, but the timing of exposure, down to the hour, also played a role in how the gene behaved. It affected for example, whether HOXA1 was “turned on”—the colloquial phrase referring to when a gene expresses itself—or turned off, and if turned on, how high. “From there, we’ve gone on to looking at other genes and that’s some of the work that’s going on now,” he says. He adds that researchers in the global effort to identify relevant genes have identified more than 250 that play a role in autism. An expert in neurotoxicology in addition to genetics, he suspects the reasons may be environmental. He points to a 2011 Stanford-led twin study that made a big impact in the research community by suggesting the environment inside the womb has “a much greater impact than previously thought,” he says. In that study, researchers looked at nearly 200 sets of twins in which at least one of the twins had autism. The subjects included identical twins, who share 100 percent of their genes, and fraternal twins, who share 50 percent of their genes. Far more often than researchers expected, if one fraternal twin had autism, the other did as well. The quest to determine which environmental factors come into play, however, is as complicated as the quest to identify relevant genes. To date, only five environmental exposures have been shown to increase risk for autism, and in each case, only when the exposure was in utero: thalidomide; valproic acid; the rubella virus; alcohol at a level high enough to induce fetal alcohol syndrome; and the anti-inflammatory misoprostol, used for a range of purposes, from preventing ulcers to inducing labor. “A lot of the funding right now is going back into treatment and phenotyping and characterizing, and to tell you the truth, that’s not a bad thing,” Stodgell says. In 2003, the NIH awarded Rochester a Studies to Advance Autism Research and Treatment grant, one of only eight such grants in the United States, making the University one of eight “STAART centers” in the nation. Under the STAART grant, the University accelerated its work on an additional dimension of autism treatment. Stodgell notes that when researchers have studied the genetic makeup of individuals diagnosed with autism, they’ve grouped together a pretty heterogeneous population. “Not all socialization deficits or repetitive, restrictive behaviors are the same, even though they get lumped into a number in the diagnostic algorithm,” he says. To understand the genetic roots of autism, he says a better approach is to study subjects who share particular behaviors that are correlated with autism—behaviors such as restrictive eating habits, or sensitivity to certain textures and sounds—and to study the genetics of the particular traits. Loisa Bennetto, associate professor of psychology and now the chair of the Department of Clinical and Social Sciences in Psychology, leads several studies on autistic behaviors from her lab on the River Campus. She and Stodgell are married, and they met at Rochester, collaborating on autism research. She says that when she arrived at Rochester in 1998, she met Rodier. They discovered they were both conducting studies of the facial nerve. “She was studying cranial nerve dysfunction in autism,” Bennetto says of Rodier. Rodier was focused on the facial nerve, which controls the muscles used in facial expressions, because many people with autism have abnormalities in the nerve, which develops from the brain stem very early in gestation. Bennetto has led multiple studies on sensory processing, particularly the processing of taste and smell. Restrictive eating habits, as well as unusual responses to tastes and smells—either hypersensitivity or hyposensitivity—are among the most common traits of people with autism. She works on characterizing these traits—or what’s called the phenotype of the study participants—while Stodgell studies the genotype of participants and their families, looking for gene variants that might be associated with particular traits. Building on an earlier finding that children with autism process taste and smell differently from their typically developing peers, the two are looking at restrictive eating behaviors among children with autism and asking: To what degree are restrictive eating habits due to the patient’s processing of sensory information such as taste and smell? To what extent are they merely another instance of the patient’s general insistence on rigid, predictable routines? Do the traits run in families or are they particular to autism? “The big question is, how do these underlying sensory difficulties drive our ideas about treatment?” she adds. That’s a project for Smith and Hyman, who are looking to develop new treatment regimens based on the preliminary findings of Bennetto’s and Stodgell’s and other similar studies. For Hyman, the key to progress has been collaboration— collaboration among researchers, with parents and caregivers, and with schools.